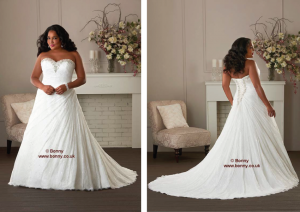 With a wide variety of designs in stock ranging from traditional full skirted gowns to sophisticated figure hugging formal dresses you can be certain that no matter what kind of image you are hoping to achieve at Just The Way You Are there will be a prom dress available that you are sure to love. View Gallery. Throughout the duration of your visit one of the friendly team will be happy to initially fully discuss all your ideas with you and then find you a selection of prom dresses to try on, then based on your feedback find you more choices to try until you have found the prom gown that is perfect for you. Another winter, another year of dealing with dry skin and frazzled hair. How unfortunate, it seems, that Valentine’s Day should happen to fall in that season when the weather is horrible, you’re only six weeks into your New Year’s Resolution to lose weight and it’s so generally hard to look good? 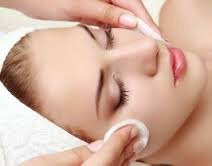 The good news is that there are stylists and skin therapists, right here in the Glasgow area, specialising in hair and beauty treatments that will give your skin and hair the breath of life that they need in order for you to look your best for that special evening with your spouse or significant other. If you’ve never experienced the blow-dry bar sensation that has taken the world of hair and beauty by storm, this could very well be the biggest favour you do for yourself this winter – besides sticking with that New Year’s Resolution to get in shape, of course. A well-designed blow-dry bar can not only provide a blow-dry and deep conditioning treatment for your hair; it can also polish nails and provide a makeup application in the same visit, taking all the fuss out of preparing for a night on the town. One-stop shopping for all your hair and beauty treatments you need: yes, the future is here! Valentine’s Day is just around the corner, and if you have plans to spend the evening with that special someone, then it’s important to look your absolute best. If you haven’t done so already, now is the time to book an appointment for that facial you’ve been putting off, a new hairstyle or to have your hair specially styled for the occasion. Ellen Conlin Hair and Beauty offers all these services and many more in the Glasgow area. With our special discounts available to students and new clients, we can get you looking your best in time for Valentine’s Day or for any special days you have coming up. Don’t delay – book your appointment with us today! For bookings and for more information about our services, call us today on 0141 339 8223 or visit the Ellen Conlin Hair and Beauty salon in Glasgow and look your best for Valentine’s Day. In Conclusion Many businesses ignore long tail keywords, because they think that these keywords won’t attract much searchers. However, the entire opposite will happen. By ranking for specific keywords, your website will attract highly interested customers who are much more likely to purchase your products or services. Direct Submit SEO Services Direct Submit are an established Search Engine Marketing and Internet Marketing company. With over 95% of our business coming direct from client referral, we provide a cost effective and highly efficient service. We offer a client focussed service, and always speak to our clients in a language they understand, helping them understand the Internet and how a successful Internet Marketing Campaign can benefit their business.